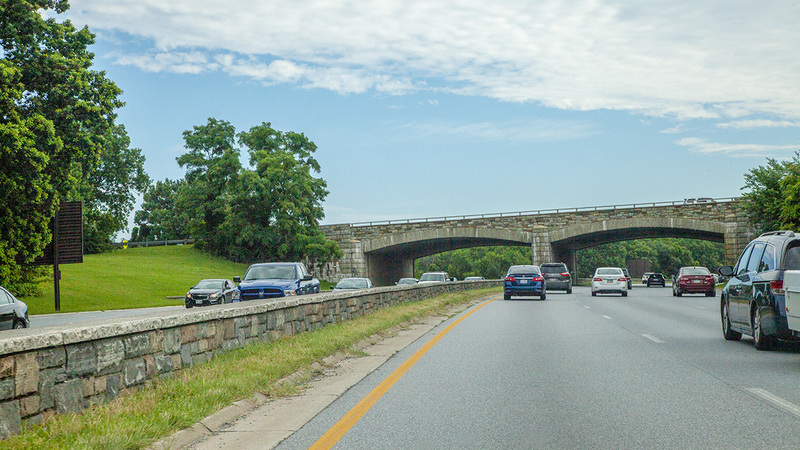 Conceived as both a scenic transit artery for the nation’s capital and a military defense project, this parkway links the northeast corner of Washington, D.C., to the City of Baltimore. 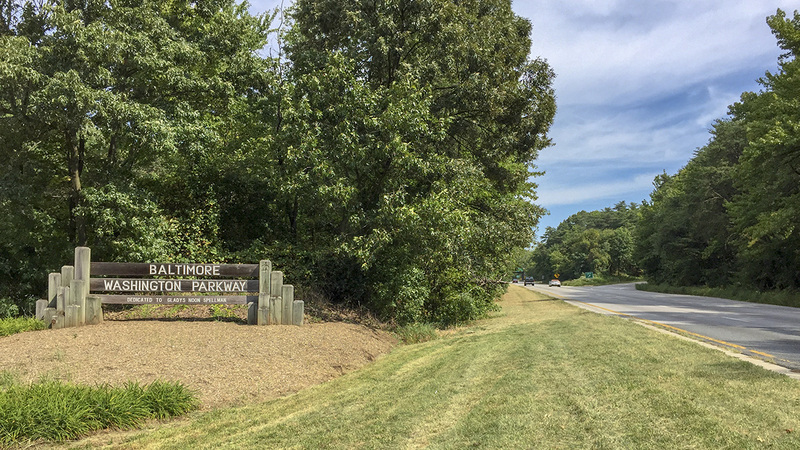 The Baltimore-Washington Parkway was designed by the National Park Service and the U.S. Bureau of Public Roads to provide an efficient transit alternative to the commercially developed and congested U.S. Route 1. 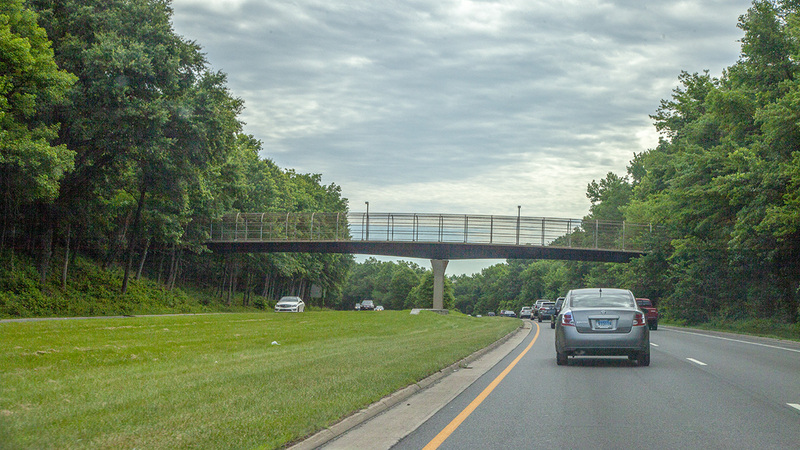 This postwar parkway was the first limited-access divided roadway in Maryland. 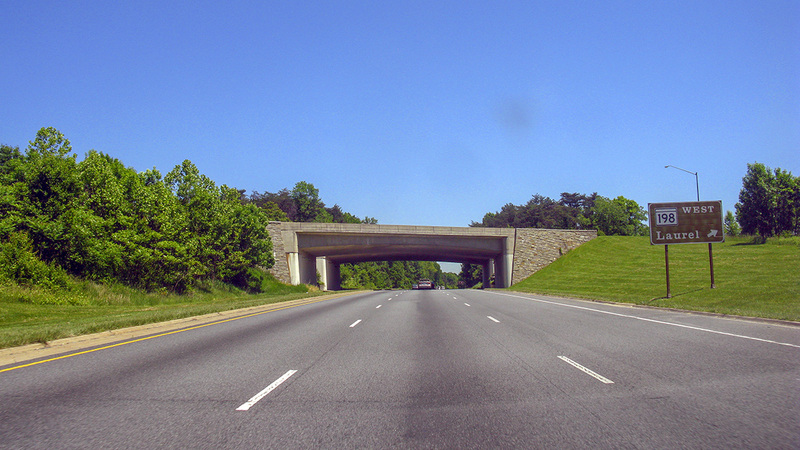 The joint construction project between state and federal governments was executed from 1947 to 1954, although initial plans for the parkway can be traced to the 1920s (with its approximate route established as early as 1927). Landscape architect Gilmore Clarke was a consultant on the project, and T.C. Jeffers was heavily involved in the planning. 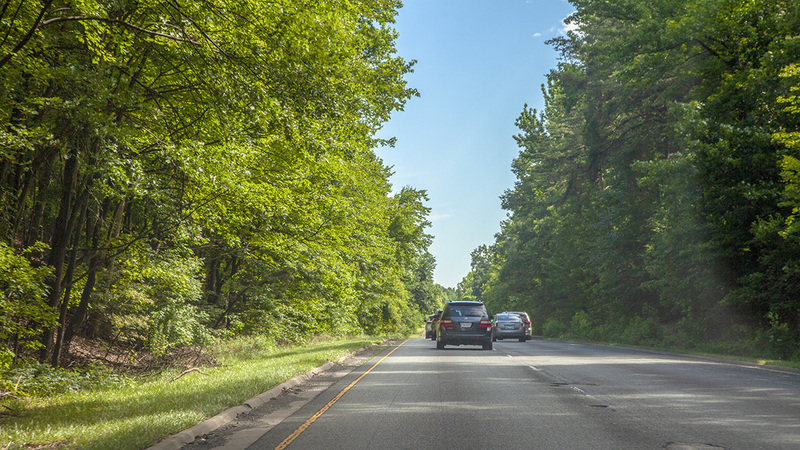 The parkway spans some 29 miles of rolling terrain along the Atlantic seaboard fall line. 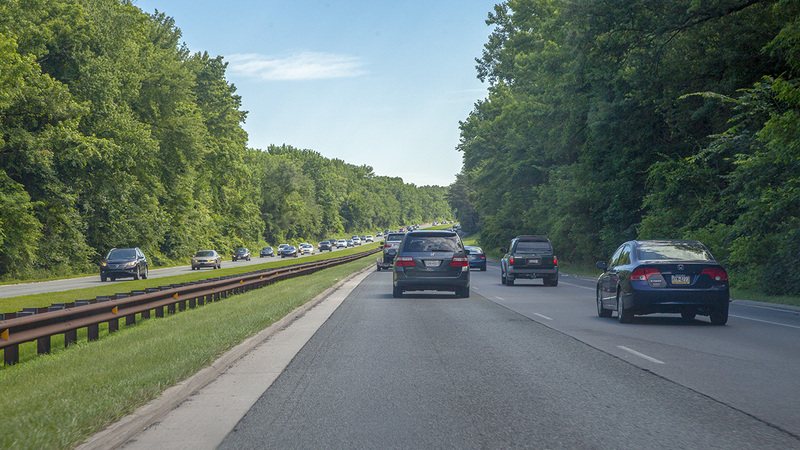 The chosen route for the parkway passed through predominantly undeveloped land, allowing planners to allocate a generous right-of-way of between 400 and 800 feet. This large swath of land allowed the design team to provide a buffer from future development, maintain existing topography and scenic woodland, and accommodate a variable-width median with landscape treatments ranging from grassy meadow to dense forest. 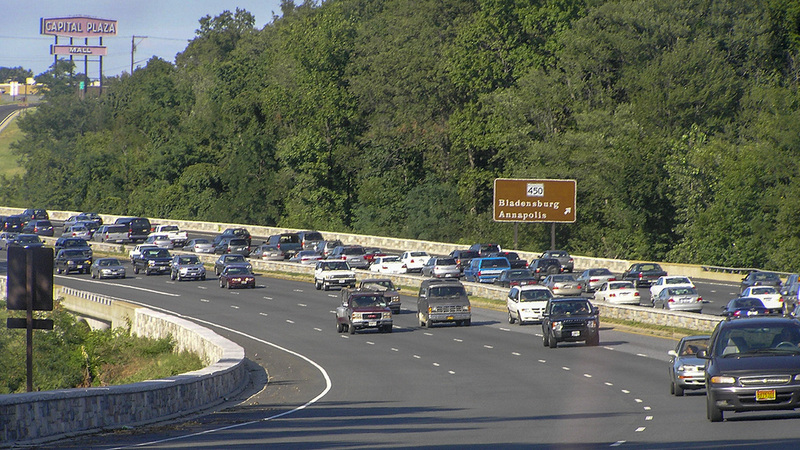 The parkway’s long, sweeping spiral curves, limited interchanges, and prohibition of commercial traffic or advertisements resulted in an efficient and pleasant route between the two metropolitan areas. 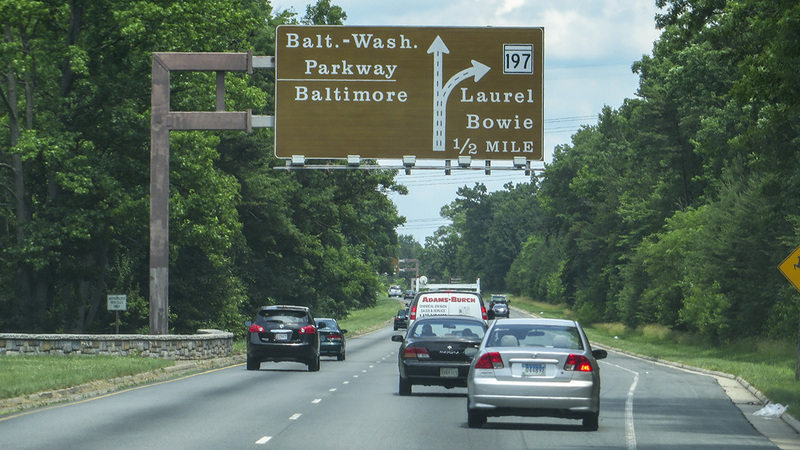 The Baltimore-Washington Parkway was added to the National Register of Historic Places in 1991.